Second Day of Wuxi Classic continued! 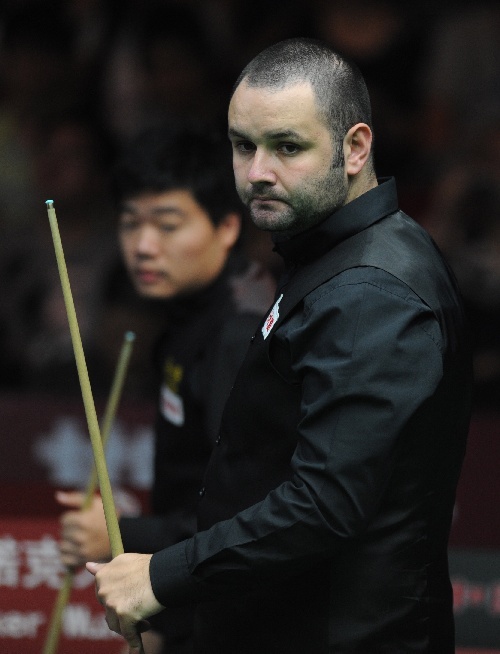 We had an awesome and exciting match today between Chinese Hero Ding Junhui and Stephen Maguire. 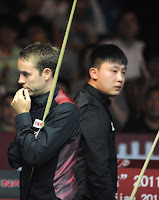 Ding and Maguire did not show their forms in the first two frames but Ding won the them by scrappy breaks. Maguire seems found his tune in the third frame. He hits 87 to trail 1-2 before Ding knocked a 137 in the next frame. Ding held a 3-1 lead before mid-session. Maguire's hand did not turn cold after the mid session. He made back-to-back centuries , 124 and 107 to punish Ding for his mistakes. This high standard match went 3-3. The standard did not drop in the sixth frame. Ding once again ahead of Maguire with 80, 4-3 but the Scot cleared the last red to force a decider. The pressure came in the decider. Ding nearly forgot to shake hands with Maguire before it started :P Ding left a chance after he broke off but Maguire did not catch it. Each of them had chances to win the match. However Ding pot the last brown and blue to become the eventual winner. 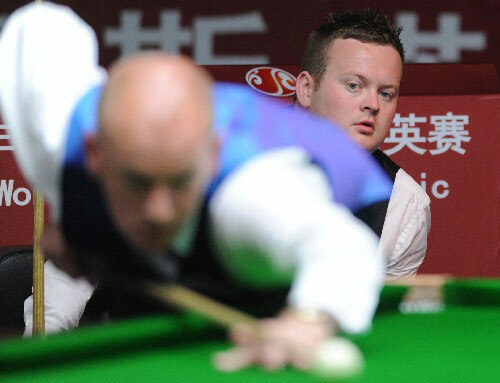 Shaun Murphy won the contest of two former World Champions. The Magician enjoyed a good start with 102 in the first frame. Ebdon levelled with 46, 39. Ebdon showed his effort in making 2 successful snookers but Murphy pot the last red to go 2-1 up. Murphy caught a mistake by Ebdon to have clearance of 96. Murphy continued his dominiation after the mid session, signed up a seat in SF with 69 in the last frame. Murphy won the match 5-1. Mark Selby whitewashed Graeme Dott with top break of 92. His next challenge will be Ding Junhui tomorrow.